We found 7 fake crdit cards in Dammy Krane’s pocket – Police – Royal Times of Nigeria. 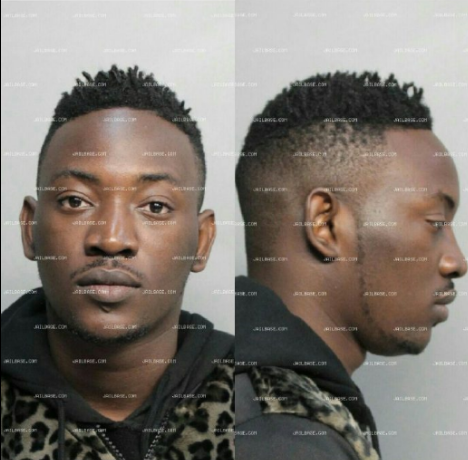 The Miami Dade police has said seven fake credit cards were found in the pockets of Dammy Krane when he was arrested at the airport. According to the Miami Times, the police report stated that when the police searched him, they found seven false credit cards in his wallet and they have slammed a nine count felony charge at Miami Dade’s criminal court for credit card forgery and grand theft against the singer. The singer had reportedly attempted to book a private flight with TapJets, which found out the card was fake. The jet company told Miami-Dade Police that Krane and a partner, Chukwuebuka Ilochonwu, had booked a $10,943 trip on a jet from Opa-locka to Washington, D.C.
Krane who has been granted bail in a video after his release had denied any involvement, he blamed the promoter of his show, while stating that he does not involve in scam.